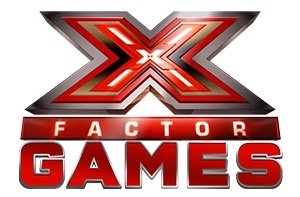 Launched in 2016 taking its name from the ridiculously enormous TV show, can X Factor Games live up to its mammoth namesake? 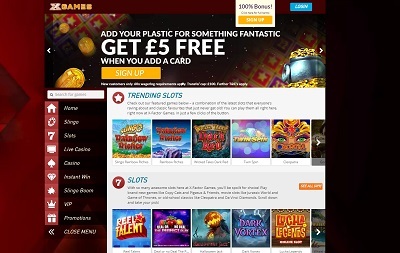 X Factor Games is licensed by the UK Gambling Commission and the Alderney Gambling Control Commission, and also offer 14-hour customer support via telephone, e-mail and live chat. Ehhhm, I’ve gotta say I was little bit jarred when I first landed on X Factor Games’ site. I was expecting something grande and something beautiful, but the site looks very early 90’s internet. But thankfully once you get to know it a little more, the site doesn’t feel very 90’s internet at all, offering super speedy loading times, a really impressive navigational journey, and a fine selection of game categories. See, didn’t your Mum always tell you to never judge a book by it’s cover?! X Factor Games offer most of the popular payment methods out there including Visa, Mastercard, Maestro, Boku, and bank transfer. The minimum withdrawal and deposit amount is £10. There is no maximum deposit and withdrawal. Over 700 games? Laaaavely stuff, can’t complain about that. And they’re really good ones as well, with all the classics slots featuring like Starburst, Cleopatra and Dead or Alive along with a whole host of exclusive slots to the platform too. Then there’s loads of traditional table games, live casino, and what excites me most, tonnes and tonnes of instant-win games. In fact, I don’t think I’ve ever seen such an extensive selection of instant-win games, and I bloody love instant-win games. Good all-round casino this one. After landing on to the site for the first time I was initially sceptical over what I was letting myself in for with X Factor Games, because the lobby area has a very 90’s feel around it, but once I dug a little bit deeper my fears were calmed somewhat. And when I say somewhat I mean a lot, because this casino ticks all the right boxes from the excellent customer support to its huge array of games. There’s also all the major banking methods with no maximum withdrawal and a very lovely welcome bonus too. A fine piece of work!